Planting Works Garden and Landscape Design was created to marry a passion for plants and design into exciting outdoor spaces. The founder of the business, Victoria Clarke, has lived in Poole since 2008. 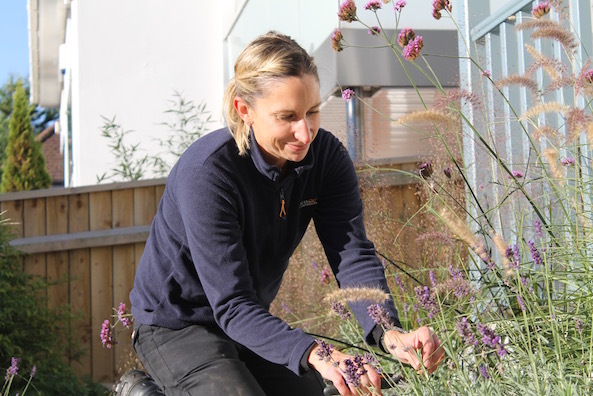 She has been working in the garden design business since 2012 and is a qualified RHS landscape gardener. Prior to focusing on garden design Victoria worked at the management consultancy firm Accenture in London. The time working for this business developed her customer facing skills and passion to deliver, which is evident in everything that Planting Works now stands for. The founder of Planting Works and lead designer – Victoria Clarke.